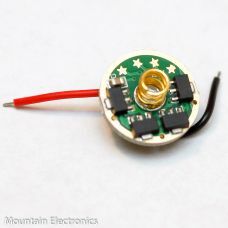 This is most probably the world's most popular 17mm LED driver, and for good reason: It is super reliable, has great user adjustable mode selections, available moonlight/firefly mode, you can get rid of the "disco modes" if you desire (no strobe by default), there is no noticeable PWM, it is highly configurable current-wise, it features low battery warning and cutoff, among a host of other great options. By default, the qlite driver comes with 8*380mA 7135 chips. You can increase or decrease the output current by adding or removing 7135 chips, each chip adds or subtracts around .380mA. 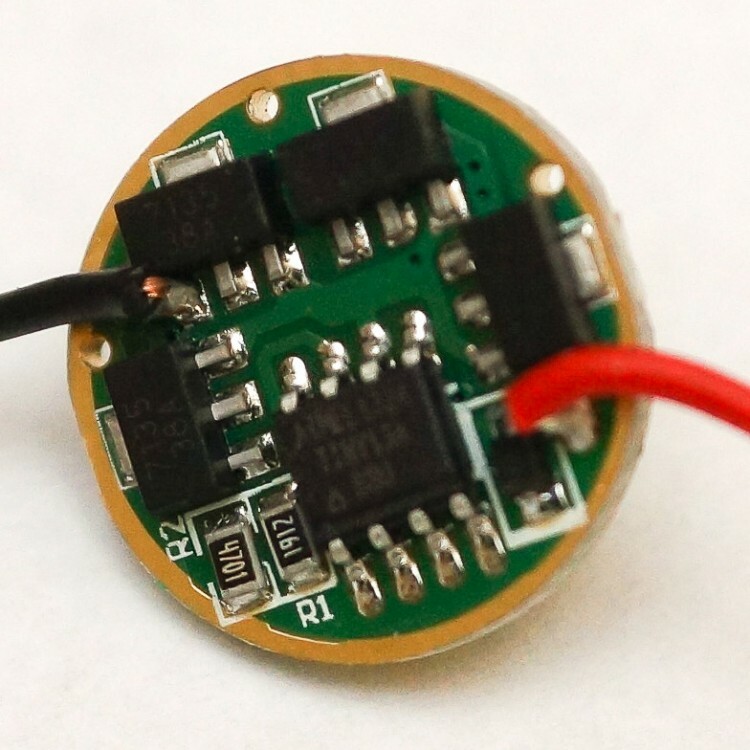 These chips are available as an add on for DIY or offer them pre-installed, ready-to-run, for an additional cost. See pull down options for add/remove 7135 service cost. The addition of these services may extend handling time 1-10 business days. 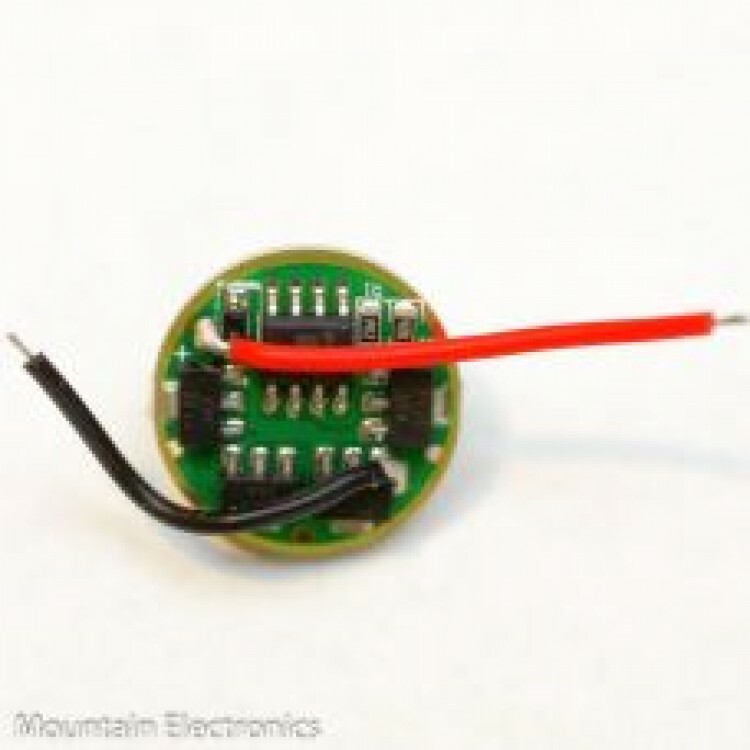 *Low voltage protection: At 2.9-3V the light will switch to an emergency low mode. 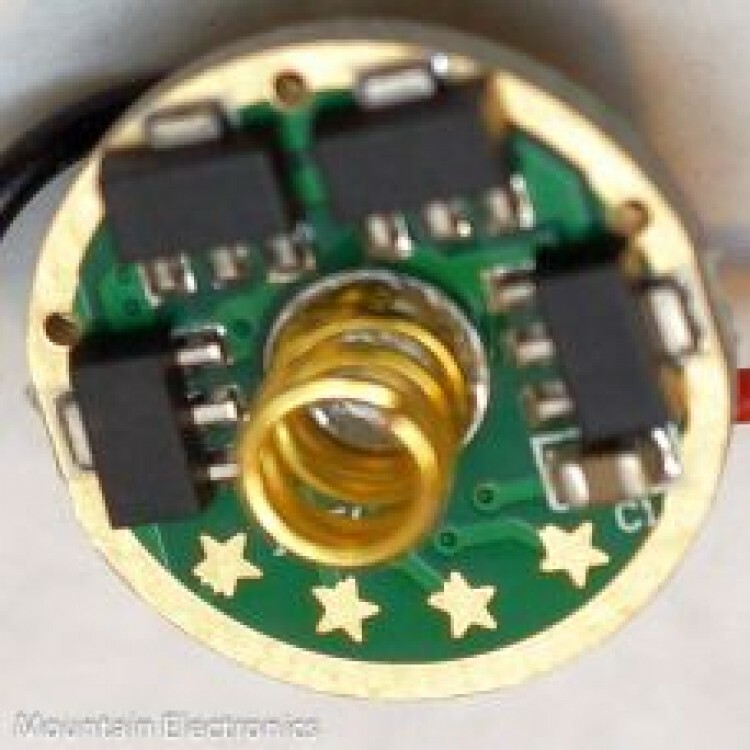 At 2.8V the light will flash 9 times to announce imminent cut-off. You select mode groups by making electrical contact between the desired star and the outer ring (ground). Because Star 4 is occupied by the capacitor with this firmware, you must choose whether or not you want memory when placing your order. NLITE Turbo Timer: Same features as normal NLITE firmware but with an automatic step down to medium power after either 90 or 120 seconds. The user can immediately kick the light back up to high mode if needed. This is GREAT for the MT-G2 mods and any smaller light pushing a lot of power! Helps prevent accidental overheating.